Home Goodnews Watch: Ilang OFW na nasa Death Row sa Jedda, maiuuwi na ni Pres. Duterte sa Pilipinas! 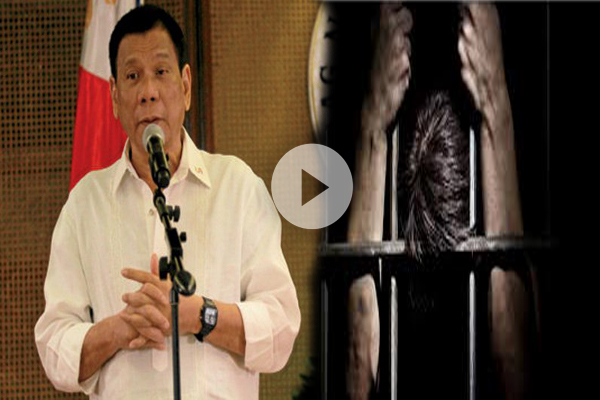 Watch: Ilang OFW na nasa Death Row sa Jedda, maiuuwi na ni Pres. Duterte sa Pilipinas! Among other goodies, or pasalubong, that President Rodrigo Duterte expects bring home from his six-day trip to the Middle East are a number of death row Overseas Filipino Workers (OFWs) who have been languishing in death row for various grave crimes but have been "cleared" for release. "They've been given the clearance. I will fly them home, from Jeddah" President Duterte said just before his departure. "When I return from this trip, they will be with me, those who have been given the permission and clemency."